Greek mythology is quite a recurring theme in modern day slot games. Quickspin Gaming has jumped on the bandwagon to bring us the mythical slot game Titan Thunder. The Greek Titans in this game add a touch of class and luxury but most importantly, add a random sixth reel to the game, summoning extra godlike features. If you love the thrill of extra reels and features, then play Titan Thunder for free to discover all the benefits and features on offer at this excellent Quickspin game. When you are ready to play for real money, grab one of the bonuses on offer at Quickspin Casinos to start your casino journey on the right foot. 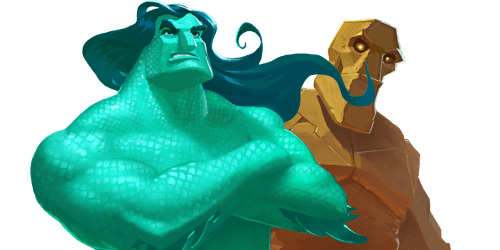 A lot of casino game providers have developed various online slots devoted to the Greek mythology and to titans in particular. Online slot Titan Thunder will come as no surprise for many of you slot fans. Titans are descendants of the primordial deities and Olympian deities. 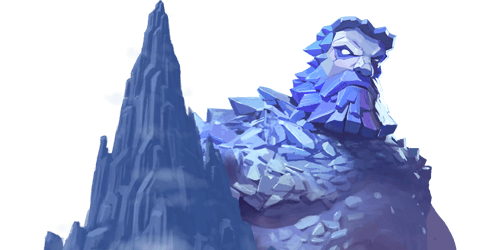 Embark to Mount Othrys, where the Titans roam freely. Along with a dramatic soundtrack, experience the wrath of the Titans in this fantastic 50-payline slot game. Payout percentage: The theoretic payout percentage of this game is 96.50%. Video Slot build: 5/6 reels, 4 rows and 50 fixed bet lines. Game features: Free Spins bonus round, Titan Thunder feature and Lightning Wilds. Titan Thunder is spread over 5 reels and four rows with 50 fixed betting lines. With a mountainous background and floating clouds, this game originally kicks off with 5 reels but you have the extra opportunity to activate a 6th reel. Five of the Titans are the highest value symbols while the five coloured gems offer the lowest value. A huge gold Wild symbol represents the Wild symbol while the scatter is a gold lightning strike against a blue background. This randomly-triggered feature can pop up any time during the base game. When this happens, you are greeted with dramatic music. The Titan Thunder reel on the left-hand side then drops off to make room for an extra reel. Additionally, lighting also strikes the reels, adding an amazing up to 8 wilds to these zapped positions. Land three lightning strike scatter symbols anywhere on the reels and you are instantly rewarded with 8 generous free spins. During this much-sought after bonus round, the sixth reel becomes active and one of the Titans is also chosen to act as a wild throughout this round. You are transported to a new screen with six reels. The Titans Zeus, Poseidon, Hades, Hermes and Hephaestus are then expanded into 2×2 square symbols. One of these divine entitles is then randomly selected to act as the designated wild staying put for the duration of the free spins round. The minimum betting amount on this casino game is €0.50 while the maximum betting amount is €100 per spin. The maximum win you can achieve in this online slot is worth 1,000x your total stake. If you love to play on the go, then you’ll be pleased to learn that Titan Thunder is also available on mobile or tablets. Some online casinos offer special deals for mobile casino players, where you can get your hands on some exclusive bonuses and offers.